Crucible Chronicles | Questions and Reviews of the Tata Crucible Business Quiz! Q.1. Which IT company founded by Shiv Nadar? Q.2. Which company derives its name from the words ‘Industrial Oxygen’? Q.3. What does I and K stand for in IKEA? Q.4. Which undergarment company was started by Samuel T Cooper as ‘Coopers Inc.’? Q.5. Sabeer Bhatia and Jack Smith came up with the business plan for which mail service? Q.7. Which electronics company started as ‘Kasuga Radio Co.’ in Japan in 1946and became ‘Trio Corporation’ in 1960? Q.8. With which watch brand would you associate Auguste Agassiz and Ernest Francillon? Q.9. Which beverage is named after a digestive enzyme found in human body? Q.10. Which company derived its name from the elements Osmium and Wolfrum? Q.11. Which travel brand was named after Samson, the Biblical character renowned for his strength? Q.12. Which term in the field of quality and business is soemthing that can be measured and used as a standard that other things can be compared with? Q.14. 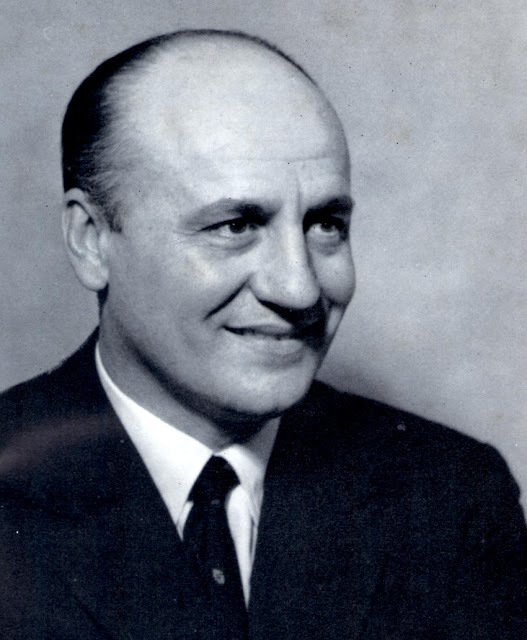 Which famous drink founded by Anthony Rossi was later acquired by Pepsico? Q.15. Which form of cloth gets its name from the French for Serge de Nimes? Q.16. Which shoe or sports brand gets its name from a mountain cat or cougar? Q.17. Pillsbury and Cheerios are brands from which company? Q.18. Which famous company from Ziln markets brands like Power and Hush Puppies? Q.19. Crompton Greaves and BILT (the paper brand) are owned by which group? Q.20. Which Royal Dutch Petroleum Company would you find with petrol pumps across India? Q.1. Which sports brand was founded by Adolf Dassler? Q.2. Wimbeldon is associated with watch brand? Q.3. Which is the only Indian city named after a businessman? Q.4. Where would you find the Sentosa island? Q.5. Tailwinds corporation owns which airline company? Q.1. What was the other famous audio company founded by the company who founded this company? Q.2. This is the logo of which multinational professional services headquartered in London? Q.3. This is a book about which advertising mogul? Q.4. Which food and beverage chain has this logo? Q.5. Which company has launched this smartphone on India? Q.6. Founded in 1982 by Gary Hendrix with a National Science Foundation grant, this was originally on AI related projects including a database program. Q.7. This is the logo of which Belgian Pilsner, now a part of the Anheuser-Busch InBev SA/NV? Q.8. She is Marilyn A Hewson, CEO of which global aerospace, defense, security and advances technological company? Q.9. 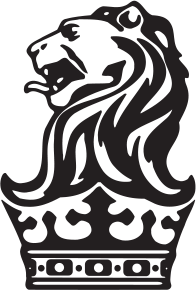 This is the logo of which publishing house in this world? Q.10. This is the logo of a company started by Nathan Swartz as ABington Shoe company, today owned by VF Corporation. Q.11. #HomesNotShowrooms is a campaign by which paint company? Q.12. Named after its founder, whatis this pyramid called? Q.13. Which group in India is this? Q.14. Which video on demand service has launched this campaign? Q.15. Which group in India owns Eureka Forbes? Q.16. This is the identity of which retail chain? Q.17. Which automobile manufacturer is behind this campaign? Q.18. Identify this economist from the Indian banking industry. Q.19. Identify this multinational pharmaceutical company from South India? Q.20. Which automobile group has acquired North America’s leading mobile parking services solution provider Parkmobile LLC, thus becoming world leaders in mobile parking services? Q.1. Which word in the world of business translates to ‘Wood in the forest’ in Tamil? Q.2. There was a 12% increase in the earnings of Thomas Cook because of silver travel tours. What is the meaning of ‘Silve Travel Tour’? Q.4. Aérospatiale and Aeritalia merged in 1981 to create what? Q.5. In 1943, which Bangalore factory was handed over to the US Army for two years to make it state of the art? Q.6. A company that has great potential but has not been managed well, and is therefore not maximizing its potential is called what? It has a reference to Charles Perrault and Brothers Grimm. Q.1. Which company was founded by Lee Byung Chull in 1938? Q2. Which Indian bank was founded in 1894 as a private banking company by Lala Lajpat Rai? Q.3.Glass’s Guide is a guide book used to refer to the price of what? Q.4. A key feature of every bottle of which scotch is the Striding Man logo? Q.5. Which UAE based group was started by Mickey Jagtiani? Q.6. If you are in the business of importing and exporting Beverly Hills, Cat’s Head, English Beauty, Lord Nelson etc., which commodity are you doing business in? Q.7. 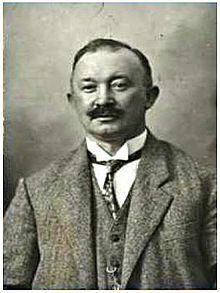 This term was first coined by Raelph Vaerst. It is credited to be first used by Don Hoeffler. Q.8. Which American global aerospace, defence, security and advanced technologies industrial conglomerate was founded by Royal Little in 1923 as Special Yarns Company to manufacture synthetic yarns and other textiles? Q.9. Lalji Gala started a bookshop in 1944. In those days selling second hand books was not common. Lalji Gala saw a business prospect in this and became a pioneer in selling second hand books in Mumbai. After this he started publishing books and founded a publishing house. Which famous Indian publishing house is this? Q.10. FIDO is a coin with a minting error. What does D in FIDO stand for? Q.11. Which company in India has bought this South African haircare brand? Q.12. These are the coat of arms of? Q.13. Who is this famous woman who is very famous among children? Q.14. Which company had this old logo? Q.15. With whom would you associate the book ‘What I Know for Sure’? Q.16. Who is this famous French designer? Q.17. ‘Dil Toh Roaming Hai’ is is the tagline of which company? Q.18. Which airline manufacturer has this logo? Q.19. Who is this famous management guru? Q.20. Which food chain is this? Q.1. Who wrote the words ‘Satisfaction Guaranteed’ on the first Walmart sign and said that they were the two most important words of his life? Q.2. What was accidentally invented by Roy Plunkett of Kinetic Chemicals in 1938 and later acquired by Dupont? Q.3. Which MNC is behind Tez initiative in India? Q.4. Which non-government, not-for-profit, industry-led and industry-managed organization was set up as Engineering and Iron Trades Association in 1885? Q.5. Which group owns the tyre brand ‘CEAT’? Q.6. The motto of which organization is “nullius in verba”, which is Latin for “Take nobody’s word for it”? Q.7. Which Ludhiana-based company owns the brand Monte Carlo famous for woollen wear? Q.8. Who is best known for the Easter eggs made using precious metals and gemstones rather than mundane materials? Q.9. Which Grammy award winner owns the restaurant ‘Southern Hospitality’? Q.10. Shepton Dash, FernvilleLord Digby and Gambit are the names of the mascots of which brand? Q.11. Which company was started as a shipping firm by Yataro Iwasaki in 1870? Q.12. Which company was founded as the ‘Swallow Sidecar Company’ in 1922? Q.13. Which FMCG giant owns the coffee brand BRU? Q.14. Which company, founded by Ralph Roberts and Daniel Aaron in 1963, gets its name from the words ‘Communication’ and ‘Broadcast’? Q.15. Which brand was advertised with the slogan “You will wonder where the Yellow went”? Q.16. This is the logo of which foundation? Q.17. What are the 4 Ps of marketing –‘Product, Price, Promotion, Place’, collectively known as? Q.18. 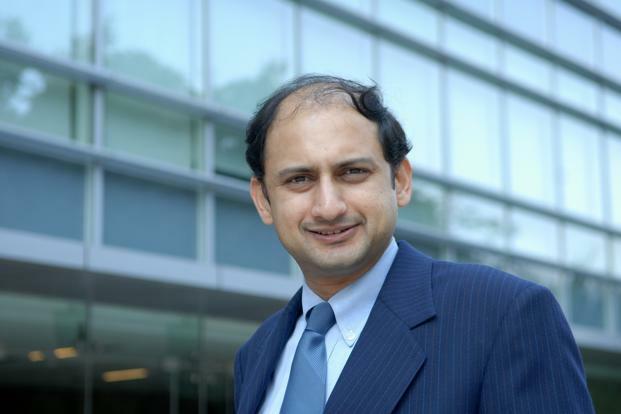 Sameer Gehlaut, an IIT D graduate, is the founder and chairman of which online trading firm? Q.19. Which state in India has positioned itself as ‘The Warmest Place on Earth’? Q.20. Identify this famous founder of a very famous magazine in the world. Q.1. Which Delhi based Indian sports manufacturer has a sister concern by the name of EnkayIndia Rubber Company Pvt Ltd and is headed by Narendra Kumar Jain? Q.2. Mangalore Refinery and Petrochemicals Limited, Tripura Power Company, Petro Additions Limited and Videshare are all subsidiaries of which Indian giant? Q.3. Which 105-year-old building materials company was founded by Adolf Gygi as AargauischePortlandcementfabrikHolderbank-Wildegg” in Switzerland and made huge news in 2014? Q.4. Which for-profit educational organization founded by Sebastian Thrun, David Stavens, and Mike Sokolsky is the outgrowth of free computer science classes offered in 2011 through Stanford University? Q.5. ‘Every Little Helps’ is the slogan of which retail company? Q.6. ‘Let Truth Prevail’ is which publication in India? Q.7. The logo is also known as the ‘Bow Tie Emblem’, and was used in 1913 by the founder William Durant who first saw this in a French Hotel. Which company is this? Q.8. Which company’s FoMoCo parts division sells aftermarket parts under the Motorcraft brand name? Q.9. What was founded by Muhammad Ali Jinnah in 1941 as a mouthpiece for the Muslim League during the freedom struggle days and is a large revenue generator in Pakistan? Q.10. In 1917, the brand started using L.S.M.F.T on each of its packaging. If M.F.T. stood for means fine tobacco. What does L.S. stand for, which is also the name of the brand now owned by American Tobacco Company? Q.11. Which sportsperson would you associate with this logo? Q.12. With whom would you associate this object? Q.13. Which famous beverage company was founded by this man? Q.14. Which eponymous brand was founded by this man? Q.15. 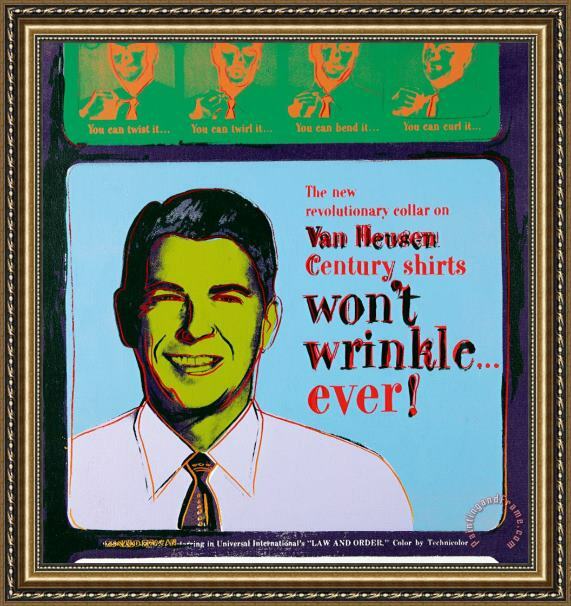 Who is the US President here in this Van Heusen print ad? Q.16. Who owns this brand? Q.17. 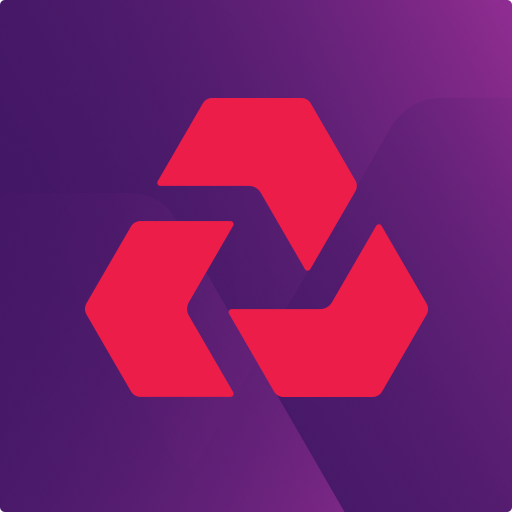 Which bank has this logo? Q.18. Which retail chain has this identity? Q.19. Which news agency has this identity? Q.20. Which famous airline in India, started by Rahul Bhatia, is owned by Interglobe Aviation? Q.1. Which online real estate site in India has launched its first ever musical ad campaign and claims to be #PropertyKaSuperMarket? Q.2. Which MNC has launched its blockbuster cancer drug ‘Keytruda’ in India around a year after a year after it first received approvals to market it? Q.3. Which company is called “Ivory Towers” and its factory and research centre in Saint Bernard, Ohio is called “Ivorydale” because Ivory was one of the oldest products they sold? Q.4. Which company invented the world’s first glue stick after studying the “twist-up ease” and convenience of lipstick applicators? Q.5. Which bank in India was founded by this man? Q.6. Which Chinese smartphone manufacturer beat Apple in customer satisfaction in India as revealed in a survey by Cyber Media Research? Q.7. This is Salil Parekh, the newly appointed CEO of which company? Q.8. This is the logo of which famous ‘valley’? Q.9. A collaboration between NASA, the European Space Agency and the Italian Space Agency, this mission to Saturn was concluded on September 15, 2017 as the probe took a plunge into Saturn’s atmosphere while delivering final pictures back to Earth. Name the space probe. Q.10. This man started life interning as a financial analyst for the Bank of Nova Scotia. He has claimed that he will one day “build an intelligent car capable of not believing in God.” Who is he? Q.11. Headquartered in Basel, Switzerland, this company created the first anti-depressant while trying to create a more efficient drug at combatting tuberculosis which led to the manufacture of the hugely successful drug Valium. It is also the only drug company authorized to manufacture Tamiflu, which is used to combat bird flu. Which pharma company is this? Q.12. She was the richest woman of the world as of 2017, reported by Forbes, who passed away recently. Identify her. Q.13. What was once known in the US and Canada as the National School Bus chrome? Q.14. Which company published this print ad? Q.15. Which bank’s logo is this? Q.16. 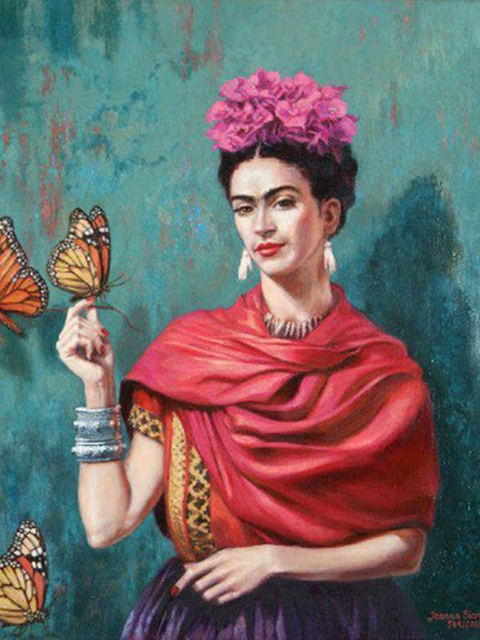 Identify this Mexican lady. Q.17. The two films, Disney’s John Carter and Pixar’s Brave are dedicated to which business legend? Q.18. Which company manufactures ‘Appy Fizz’? Q.19. This is a Print ad for which beverage? Q.20. A _______ EFFECT is a term used to denote bias shown by customers for certain products due to favourable experience of other products from the same manufacturer. What term? Q.1. Who is the President who appears on the One Dollar US note? Q.2. What was created in 1928 by the County Chemical Co. Ltd. in Birmingham and was basically an emulsion of water, oil and beeswax? Q.3. Old Monk is one of the largest selling rum brands in the world. Which company produces it? Q.4. He is Otto Beisheim. He was the founder of which German retail chain? Q.5. Where in this world would you find the ‘Jules Verne’ restaurant? Q.6. Which e-commerce company has acquired this famous mobile repair start-up? Q.7. Which brand means ‘destiny’ in Latin? Q.8. ‘4810’ is a recurring theme in the products of which company? Q.9. Which company was founded by Ezra Cornell and Hiram Sibley in 1857? They were also the financers to Samuel Morse’s telegraphic experiments. Today, they are big in money transfers. Q.10. Which entity in the world will you associate with this logo? Q.11. Which hotel occupies the first 37 floors of Burj Khalifa? Q.12. Which company has launched this brand? Q.13. He was born to Florence Spellman, an unwed mother at the age of 17. His adoptive father was a Jew who came from Ellis Island. Name this business tycoon being spoke about here. Q.14. Which brand had organized Durathon, family run marathon in Mumbai in Nov 2017? Q.15. Which Japanese company’s name literally means ‘The Rising Sun’? Q.16. Which word comes from the Roman term meaning ‘cooked twice’? Q.17. Who, along with Steve Coomber, has authored this book? Q.18. When it was invented it was called the ‘Pappin’s Digester’. How do we know it today? Q.19. Logo of which airline? Q.20. This is the identity of which South Indian jewellery brand? Q.1. Which retail store in India says ‘ Making India Beautiful’? Q.2. Who was the finance minister of India before Arun Jaitley? Q.3. Which famous Indian pharmaceutical company’s logo is a ‘dynamic helix’? Q.4. Ultratech is owned by which group? Q.5. 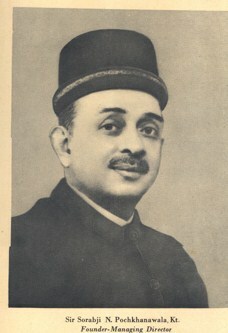 Which famous Indian was the CEO of Calcutta Municipal Corporation in 1924? Q.6. Which insurance company was established by the Tatas in 1919 with a capital of 20 crores? Q.7. Salil Parekh is the CEO of which Indian IT company? Q.8. Which logo, also known as the ‘Drop T logo’, was based on an impromptu sketch by instrument retailer and designer Ivor Arbiterin in 1963? Q.9. Sir M Visveswaraya started a pig iron plant at Bhadravati in 1923, known as Visveswaraya Iron and Steel Limited. Which company owns it? Q.10. Which MNC forayed into the payment solutions space in the country with the launch of Tez(fast)? Q.11. Which apparel brand is this? Q.12. Which sports brand has come out with this campaign? Q.13. Which Indian cricketer owns the clothing brand True Blue, in partnership with Aravind Mills? Q.14. Which media house was Rani Mukherjee a part of, in this movie? Q.15. Which famous company’s founder wrote ‘Testament of a furniture dealer’, for the employees of his company to follow? Q.16. What in the world of technology was founded by these two? Q.17. Which shoe manufacturer has come out with these range of slippers as a part of their ‘Healers’ range? Q.18. Who is this great economist? Q.19. If is this Sulajha Motwani, which group would you associate her with? Q.20. Whose advertising campaign is this? RUNNER UP : Shiv Nadar University – Siddharth Rao and Visrudh V.
Q.1. Which Hollywood superstar owns a production house called ‘Playtone Production Company’? Q.2. Which Indian, who was also the richest man in the world in 1937, appeared on the cover of the Time magazine? Q.3. Which international voluntary organization was founded by the former French minister for foreign affairs Bernard Kouchner? “one who undertakes an enterprise”? Q.5. Identify this logo from the hospitality business. Q.6. Which management guru explained ‘Synergy as 2+2 = 5’? Q.7.With which fast food chain would you associate this tagline “Where is the Beef”? Q.8. Identify this entity from its logo? Stores’ and even had the great Sam Walton as an employee at one point of time? Q.10.Which company is known as the “Time-maker” and its name means exquisite, minute, and success in Japanese? Q.11. Identify this from the travel business. Q.12. In tire industry, what are OTR tires? Q.13. Which company started as ‘Legend Computers’? Q.14. “The importance of money flows from it being a link between the present and the future”. Which famous economist made the above statement? Q.15. Identify this from the automobile business. Q.16.Which American shoe company is named after a corn dish used to feed pet dogs? Q.17. Which well known TV anchor is the author of this book? ‘Ultra’? In the 90s it was reformulated as ‘Futur’. Q.19. Which sports goods company owns the range of products under the name Ballistic, Stealth, Atomic and Velocity? Q.20. 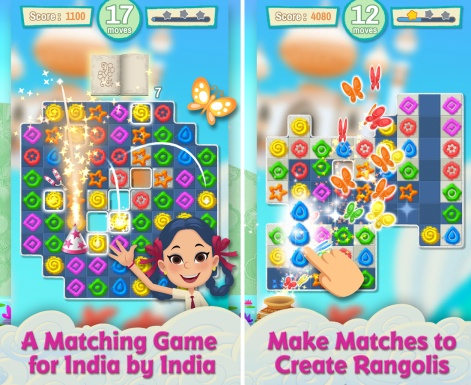 Which company has manufactured this particular game for the Indian audience?